Day six was spent in and around the slums in very hot, dusty conditions. We arrived at 8am to finish painting the mural and started on a Doxa sign for outside the building. Ray and Emily then left with the HIV team to visit another lady. 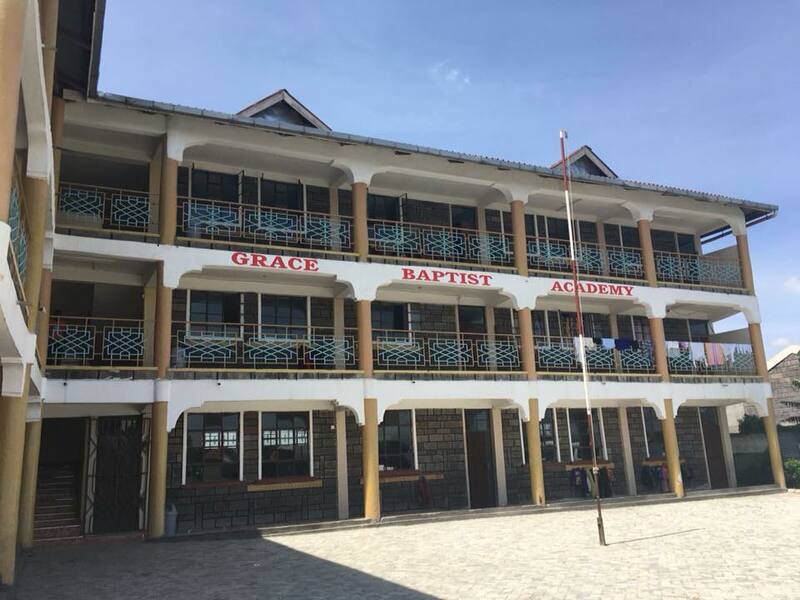 At 10am we loaded up the matatu with most of the team and the parachute and headed to Grace Baptist Academy to spend some time in the school where The Doxa Project sponsors fourteen of the children. An American guy called Scott runs the school and it had a completely different feel to NEC which we visited on Monday. It is much bigger and feels more westernised with a large field at the front for the children to play on. It still retains a very rustic feel and the classrooms are so ill equipped compared to the UK; but they have desks, chairs and blackboards, as well as a room with a few computers. They are about to purchase some tablets which could really revolutionise their teaching. This will allow them to read e-books which is currently something for which they just don’t have funding. The students don’t currently read any novels or literature. While we were there we played games at breaktime with two different age groups and then split up and taught a couple of lessons. 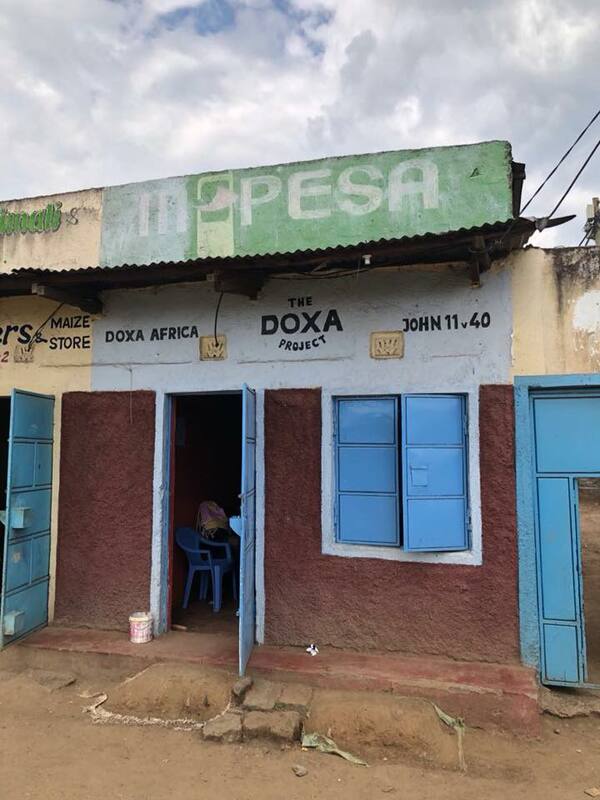 On returning to the slums the Doxa sign had been completed and looks brilliant. It puts a real stamp on the building. Throughout the afternoon various jobs were completed and visits carried out. There were several visits with the HIV team, as well as the water filter team. 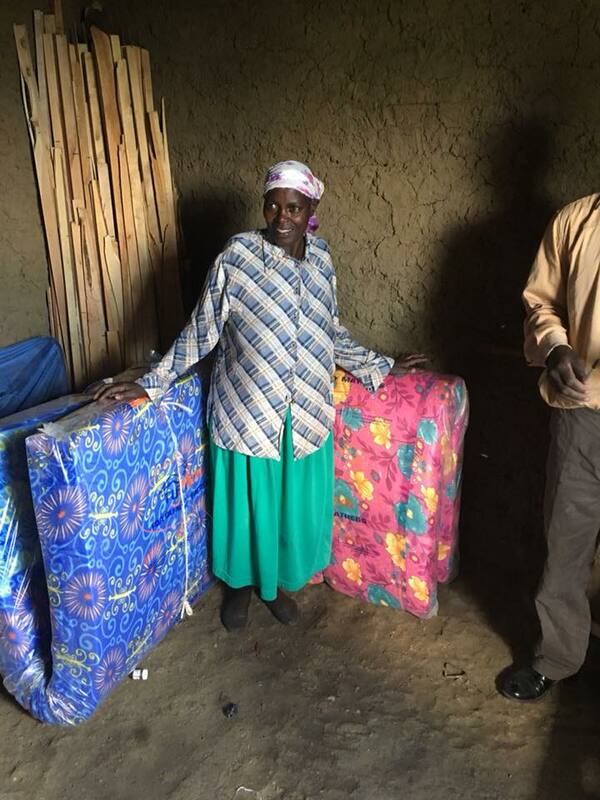 Probably the highlight of my trip was seeing the look on Milka’s face when we delivered her two new mattresses. This was the lady who I talked about on Monday. This lady has literally nothing in terms of physical possessions, so when we set up her mattresses and hung mosquito nets, her smile literally reached from ear to ear! She was so joyful and happy. Wearing ripped, dirty clothes and playing with a small little car in the dirt, her grandson stood and watched us. We said we would bring them both new clothes and some toys from the aid we brought over. The new mattresses, nets and new clothes are going to really change Milka’s life and just shows the impact The Doxa Project is having. This time we left crying tears of joy rather than the sadness we had felt on Monday. It was a privilege to be a part of such a positive change. Back at the office the boys were preparing for their weekly ‘fellowship’ where they invite people in from the slum community to sing, praise and listen to a message. They had said they normally have about 40 people attend; however I have never seen so many people crammed into a 10ft by 30ft space! There must have been at least 75 mothers, babies and children all keen to be in the office and spending time together. Then the rain came! We hadn’t experienced ‘proper’ Kenyan rain until today! An almighty thunderstorm shook the tin roof as rivers of brown mud ran along the dirt tracks. Our evening ended at Kim and Joyce’s house. Kim is Doxa’s ‘man on the ground’ in Kenya and married Joyce last year. They recently moved into a brand new apartment on the edge of the slums. We threw them a house warming party and lots of fun was had by all! A great end to a busy day.